Place your bet on One Step Programs as we prepare for our 2015 Charity Poker Championship on Thursday, February 19, 2015. 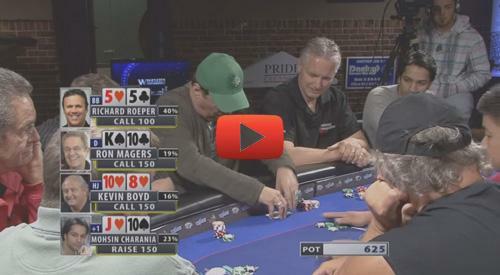 The event will host an estimated 240 poker players and over 100 spectators. Players will compete for approximately $15,000 in prizes including the coveted Grand Prize: a seat at the 2015 World Series of Poker Main Event in Las Vegas ($10,000 value). 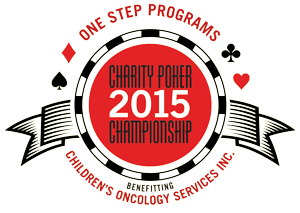 All proceeds from the 2015 Charity Poker Championship will benefit One Step Programs (dba Children's Oncology Services, Inc.), a registered 501(c)(3) non-profit charitable organization dedicated to improving the quality of life for children and adolescents diagnosed with cancer. 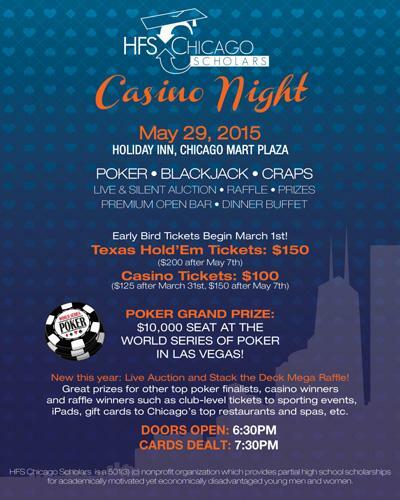 More information on our programs and the 2015 Charity Poker Championship can be found at www.onestepcamp.org. 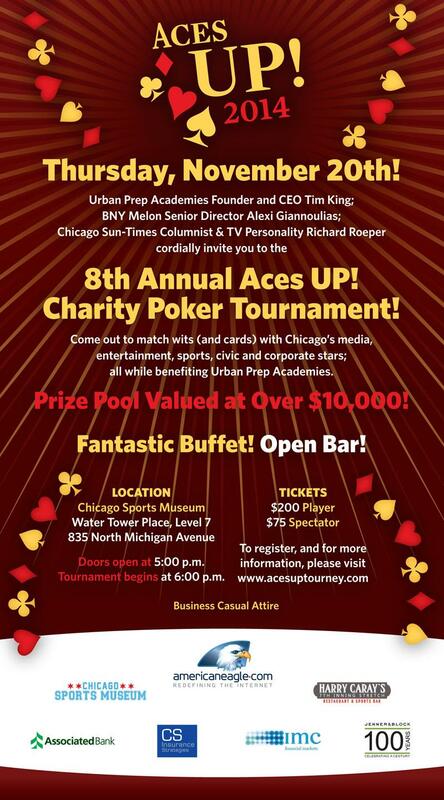 On Thursday, November 20th, Urban Prep Academies will be hosting its 8th Annual Aces Up Charity Poker Tournament, making it one of the longest running charitable poker events in Chicago. Hundreds of players will hit the felt, trying to best one another in this game of skill and chance, all vying for a piece of the prize purse valued at more than $10,000. 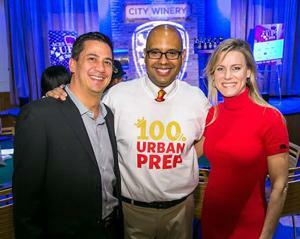 Last year's event attracted hundreds of players and spectators who came out to the event to enjoy fast-paced poker and support Urban Prep Academies, helping to raise close to $100,000 for the schools. Hosts Richard Roeper, Alexi Giannoulias, Chris Zorich and Urban Prep founder and CEO Tim King were back on the scene to keep the festivities lively. In addition to the Texas Hold ‘Em tourney, guests enjoyed delicious food and plentiful drinks.